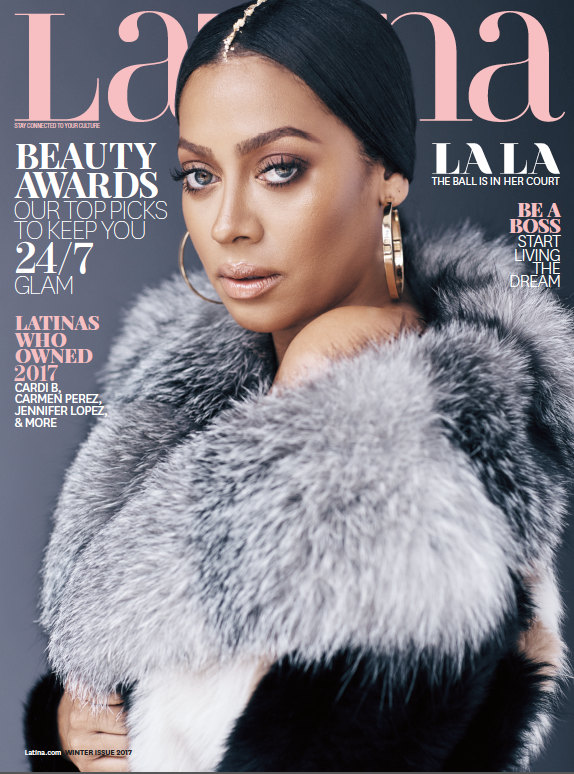 La La Anthony has everyone talking about her remarkable new Latina magazine cover which you can find on stands now. From the stunning beauty shot by Alvin Kean Wong, and complimenting in-depth story written by Taiia Smart-Young. La La bares it all and speaks about her family, entrepreneurship, and estranged relationship with NBA All-Star Carmelo Anthony. “It’s hard when your dad doesn’t live in the same place as you anymore. We try to make it as normal as possible [for Kiyan] and make access to Melo as frequent as possible. He’s an incredible dad.” - La La Anthony in the new cover story in Latina.